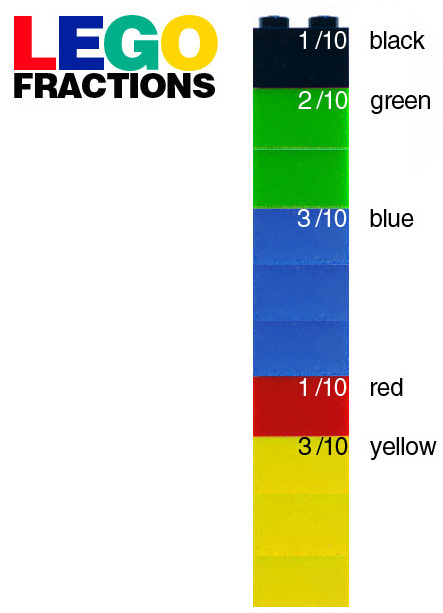 After doing Lego Geometry with kids, I thought why not fractions? 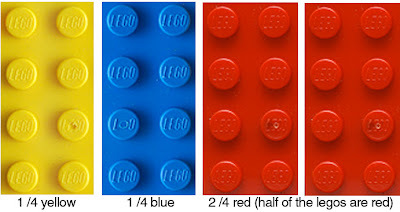 Make fractions fun with colorful legos! 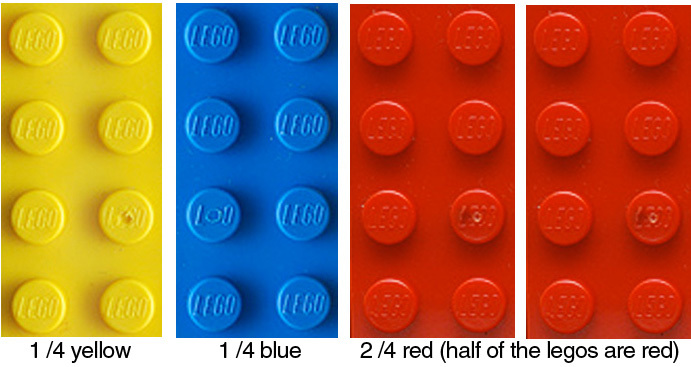 Give kids legos in various colors, then have them write a fraction for each color. My boys absolutely love Legos and we are starting fractions next week...Sooo excited!! Thanks! You should also check out LEGO Mean, Median, Mode, and Range ; LEGO Place Value ; and LEGO Multiplication Groups of and Arrays. All the activities are under the label "lego" in the mathematics section.